How did we fit all of the amazing features into the new 2015 Honda Fit? Honestly, we’re asking ourselves the same question. Let’s start with seating for five followed by an impressive EPA estimated 41MPG. How about we throw in a backup camera for safety, and an interactive display that you can pinch, swipe, and customize to fit your style? You can even fold down the seats to provide a relaxing spot to chill out when you are away from home. We thought you might like that. The Fit is available up to a 1.5 liter 130 HP engine 4 cylinder i-VTEC® engine. Six airbags come standard to give you peace of mind. The design of the Fit’s chassis is a next-generation Advance Compatibility Engineering (ACE™) body structure. 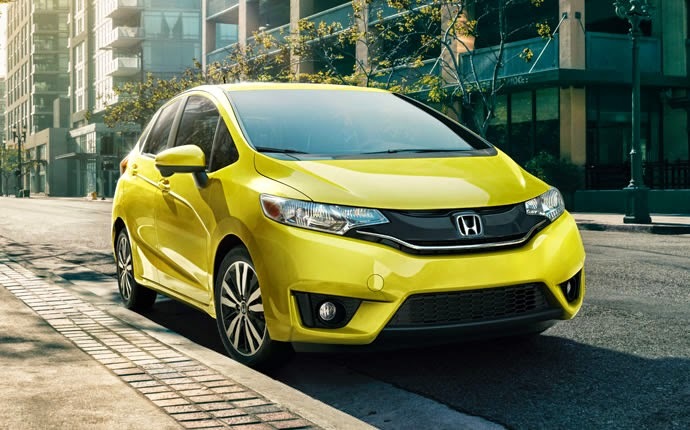 It’s no wonder the IIHS gave the 2015 Honda Fit a Top Safety Pick for 2014. Ready to take the Fit for a test drive? Call our experts at the Olympia Auto Mall. We’ll help you find the right Fit for your lifestyle. Regardless of whether you have been searching for new or used cars in Puyallup come to the Olympia Auto Mall. The Olympia Auto Mall – Washington’s Largest !! !